We’re gearing up for the BETT show in London. The show runs from January 30th to February 2nd and, for the first time, takes place at London’s ExCel. 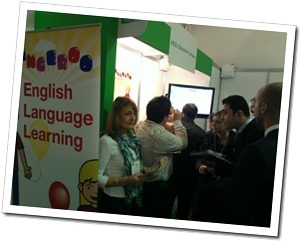 Langeroo is exhibiting on stand A6, located in ExCel Modules N1-N17. We’ll be on the show floor demoing our online subscription service for schools and our brand new apps for the home market, including a demo of our first Windows 8 game, Chef Pesto. So, come along and see us, pick up a free subscription and check out our new products.